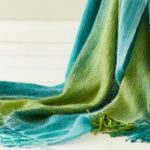 Two project designers in Handwoven May/June 2018 chose to weave their projects in overshot-patterned doubleweave, a four-shaft technique. One of them was Marcia Kooistra, who wanted to pay homage to Bertha Gray Hayes by weaving one of her designs, but in doubleweave. 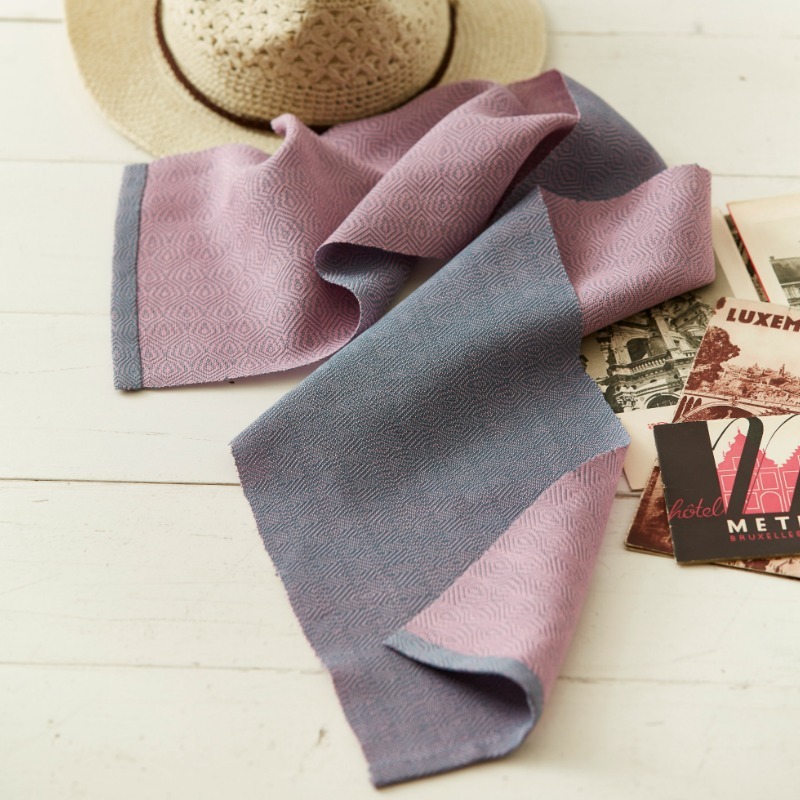 Marcia chose a thin cotton thread to weave her Double Gray Hayes Foulard that is crisp yet drapable. One of the things I love about the foulard’s design is its reversibility. One side looks clearly pink and the other looks lavender, and both are equally pretty. If you haven’t tried overshot-patterned doubleweave before, this is a great project to start with. Use the pink and lavender that Marcia used, or choose two colors that say elegant and simple to you! I love overshot, especially the innovative ways Bertha Gray Hayes designed and wove it. It’s a shame we don’t know more about her. In fact, if it weren’t for the fantastic work of the Weaver’s Guild of Rhode Island, I wouldn’t know about Bertha Gray Hayes at all. I decided to weave one of her patterns, Unnamed 4, but in doubleweave, and chose a Venne Nm 50/2 cotton yarn, otherwise known as sewing thread. Let’s call it a challenge! (The directions for the foulard substitute 30/2 cotton, which has a similar weight.) For beginning weavers and those not interested in this sort of weaving challenge, the pattern also looks good in 22/2 cottolin sett at 40 epi. In the end, I didn’t like the result of “tromp as writ” and chose a twill-like treadling instead. You can choose one of two tie-ups: one that uses six treadles, which requires two treadles to be pushed down for every other pick, or one that uses eight treadles. Both tie-ups are given for this project. I wove a foulard, not so much for warmth but for show, with patterning that reminds me of M. C. Escher designs. EQUIPMENT: 4-shaft loom, 10″ weaving width; 15-dent reed; 2 shuttles; 2 bobbins. YARNS: 30/2 cotton (11,955 yd/lb; Borgs; Vävstuga). Featured Image: Marcia Kooistra’s Double Gray Hayes Foulard makes an elegant and simple statement.